Aug. 26, 2014, 2:45 p.m. Previously proudly without a homepage, the business site is trying to shift its email success to the web to build loyalty. By Joseph Lichterman @ylichterman Aug. 26, 2014, 2:45 p.m. It was only a couple months ago that Quartz was making a bold proclamation: “The homepage is dead, and the social web has won.” The behavior of news consumers online was shifting rapidly away from the old way — going to a news site’s homepage, looking for an article that interests you — to one fueled by the streams of links found in social media. This argument wasn’t a new one for Quartz, which launched two years ago without a traditional homepage. Type qz.com into your browser and you’d be thrown directly into the site’s top story. Rather than the usual back-and-forth of website navigation — homepage, click, back arrow, click again, back arrow — Quartz wanted you to scroll from story to story. So if you went to qz.com yesterday morning, you could be forgiven for being confused. With a new redesign that launched late Sunday, Quartz has gone retro and built an actual homepage. And they did it for the reason just about every other news site has a homepage — to build up reader loyalty. But Quartz still has a twist. 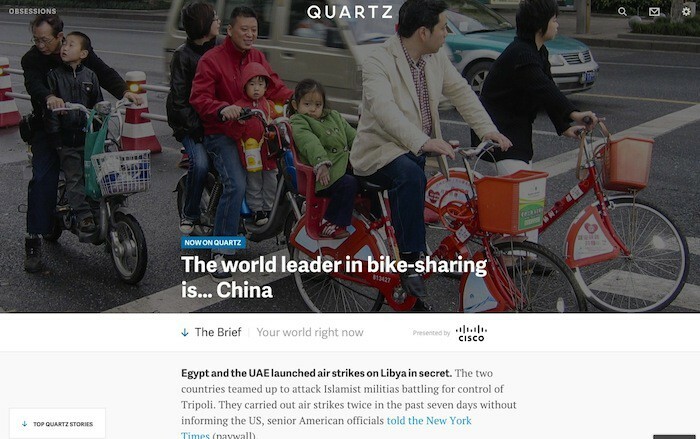 Rather than the usual arrangement of links to top stories, the new Quartz homepage is centered on The Brief, a tailored summary of business and international news under the rubric of “Your world right now.” (It’s also sponsored, currently by Comcast.) 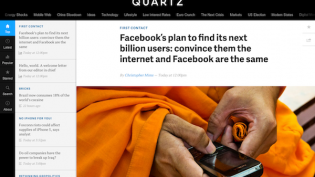 “It’s intended to be read straight through, like a well written memo from a trusted advisor,” Quartz senior editor Zach Seward wrote in a post announcing the site’s redesign. 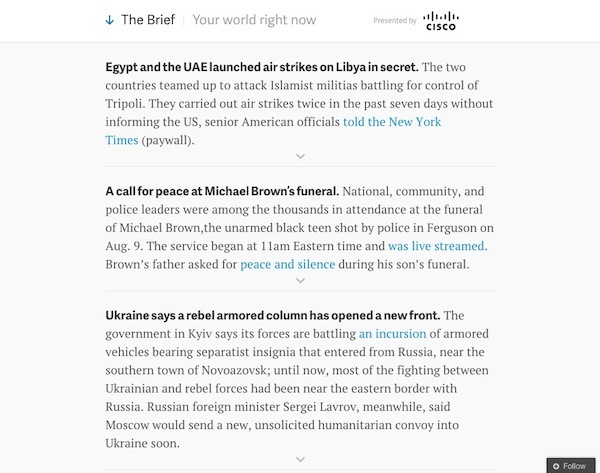 The Brief is modeled after Quartz’s successful email newsletter, The Daily Brief, which similarly offers quick hits of what readers need to know. But unlike the email, which is sent out every morning, the Brief will be updated regularly throughout the day. 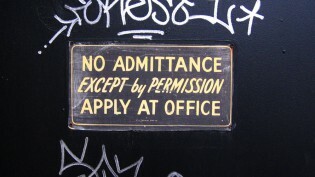 Any news site aims to build up user loyalty. 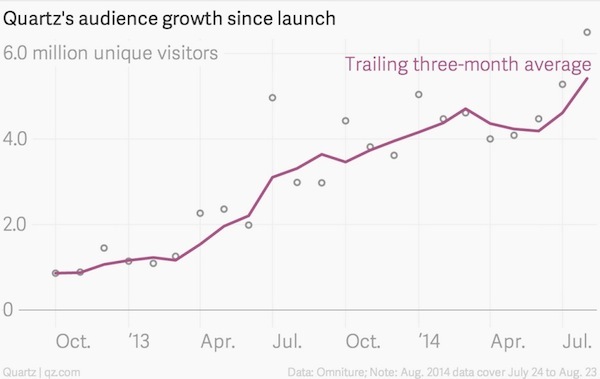 For most, that means return visits to the homepage, but Quartz found an unusual route to habit-building through its daily email, which gets open rates north of 40 percent. The new homepage approach merges the two. Quartz doesn’t expect the shift to significantly change the percentage of visits that start on the homepage; rather, Seward said the site hopes to grow overall audience while creating an experience that will encourage users to stay longer on Quartz. The Brief also takes a cue from Glass, a subsite Seward launched earlier this year that focuses on television. Headlines on Glass are presented in an outline format where users can click on them to get more information or added context that drops down. Quartz has taken the same approach on the Brief, with arrows you can click on to get more information about some stories. Beyond the front page, the redesign cleans up what was already a relatively uncluttered site by news standards, stripping out clutter. Article pages now give even more room for visuals. The old look featured a menu of other Quartz stories, internally called the queue, on the left side of the page; that’s gone now, with users needing to click a hamburger button in the top left corner of the page to make it appear. Only 20 percent of readers who went onto read a second story on the site used the queue, Seward said. The rest just utilized Quartz’s continuous scroll which brings up the next story at the end of the current one you’re reading. This was the first time one of Quartz’s redesigns have been done in-house, its previous two iterations were designed with the assistance of outside firms. Other new features include new pages for obsessions, topics Quartz has taken a particular interest in covering, as well as new presentations for charts and graphs. 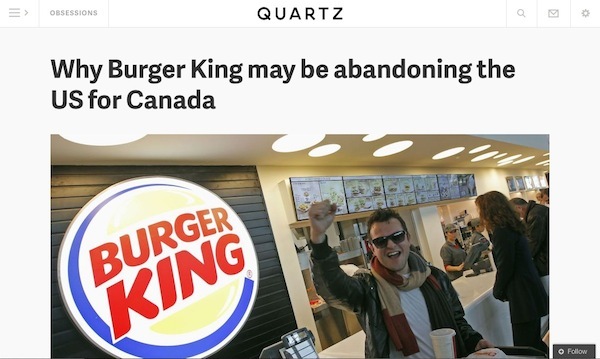 Quartz doesn’t run traditional banner ads, instead offering what it calls Engage ads, which appear as you scroll between stories, and Bulletins, its name for sponsored content. 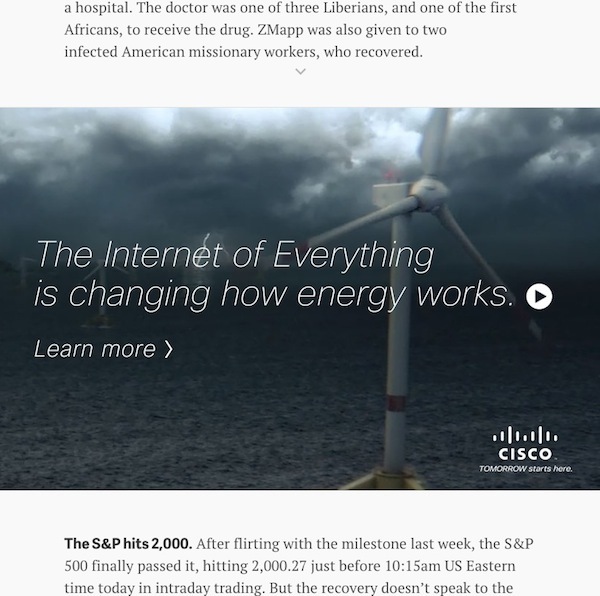 As part of the redesign, native ads on Quartz will have access to all the changes the site is implementing, and Engage ads now stretch to the edge of the page. They’re also three times as large as they used to be on smartphones, Lauf said. POSTED Aug. 26, 2014, 2:45 p.m.
Lichterman, Joseph. "Maybe the homepage is alive after all: Quartz is trying a new twist on the traditional website front door." Nieman Journalism Lab. Nieman Foundation for Journalism at Harvard, 26 Aug. 2014. Web. 18 Apr. 2019. Lichterman, Joseph. "Maybe the homepage is alive after all: Quartz is trying a new twist on the traditional website front door." Nieman Journalism Lab. Last modified August 26, 2014. Accessed April 18, 2019. https://www.niemanlab.org/2014/08/maybe-the-homepage-is-alive-after-all-quartz-is-trying-a-new-twist-on-the-traditional-website-front-door/.